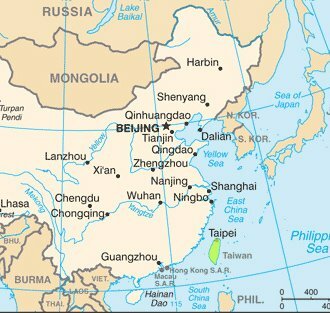 Taiwan protested that Apple Maps show the island as a province of China and demanded the company to correct this error. Below is an article published by The Telegraph. Taiwan has angrily demanded that Apple Inc. alter its new map application, which identifies the island nation as a province of China. Users of the iOS 7 and version 10.9 of OS X for the new iPhone and computers have discovered that any search for "Taiwan" automatically produced simplified Chinese characters that read "China Taiwan province." "We have made representations to Apple," Kelly Hsieh, head of the ministry's Department of North American Affairs, told reporters in Taipei. "The designation of the mapping system has apparently deviated from the truth and has degraded our country's sovereignty," The China Post reported Hsieh as saying. "Matters like this must not be compromised. "We have expressed our intense dissatisfaction to the company and demanded that it amend the error immediately," Hsieh added.